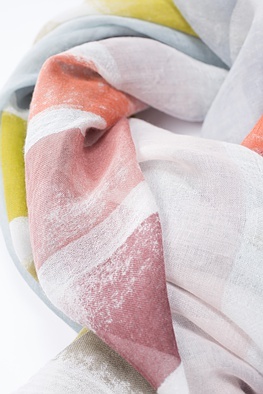 This OSKA scarf is gauzy and light-as-a-feather. And it has a real flair for styling. 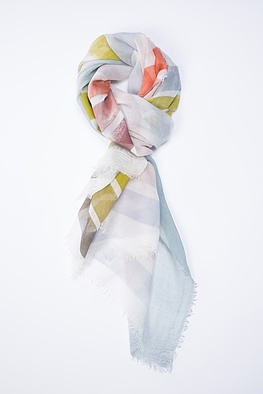 Draped, tied or falling loosely – it gives your outfit that last kick. 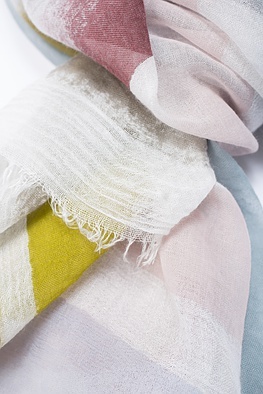 Its delicate powdery shades are a reflection of the current summer season’s colour palette. Open weave edges add a beautiful emphasis.